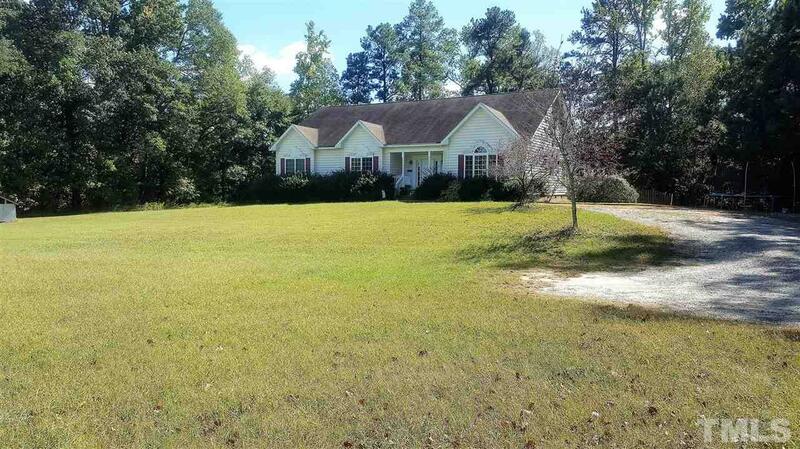 Great location near South Pointe, Jordan Lake, West Cary, Apex. Beautiful rolling 4 acre lawn. Bring your horses! Home set way back from road frontage for privacy. House is bright and open with a fenced back yard for your pets. Gourmet kitchen, SS appliances. Home priced to sell. Additional heated 900 sq. ft. finished upstairs not included in the 2250 sq ft.. PLEASE GO TO PROPERTY AND WALK IT BEFORE REQUESTING A SHOWING! Drastic price reduction 10/28/17 for 'as is sale ' !!! !